The first North American regional of the Moon Series portion for the 2019 VGC season is this weekend, and this tournament is shaping up to be big. Big in the sense of attendance, names that are competing and potential implications for Top 8 standings in North America. With all of that in mind, here are just some of the aforementioned big names competing this weekend in Dallas that you’ll likely be hearing about. 2016 World Champion and Panda Global’s own Wolfe Glick is a natural first pick for our list. Although Glick hasn’t had any breakout finishes this season, he’s still one of the best, and that’s reason alone to include him. That’s not to say that he’s been completely quiet as he’s nabbed two Top 32 finishes at regionals and a good amount of local finishes. Not only that, Glick recently expressed on Twitter that he feels good about his preparation and the team he’s chosen, which could be dangerous for the competition. Let’s not forget that Glick’s World Championship win came during the last season when restricted Pokemon roamed the VGC metagame, and it’s not impossible for history to repeat itself. Both Cox and Rodrigues have definitely distinguished themselves as two of the top players in Pokemon VGC right now, but there’s a reason we’re putting them together. These two pretty much develop everything having to do with their tournament prep together, and that usually leads them to bring the same team/strategy to each tournament they attend. This pair is incredibly threatening though, as they both met in the finals of the Memphis Regional Championships back in Sun Series with Cox scoring a second International Championship title in Sao Paulo this season as well. Not to mention, Rodrigues is also an International Champion, so we’re dealing with quite the dynamic duo here. Plus, they invented one of the best VGC 2019 teams period, and it’s likely we’ll see them pilot a similar strategy to some level of success this weekend. Malaviya is apart of the newer generation of Masters (this being his third year), but he’s already had himself quite a season so far. We’ve mentioned Malaviya’s name before as he recently won the Anaheim Regional Championships with a spectacular 11-0 run throughout the entire event. We’ve also been raving and analyzing the Yveltal/Groudon team that has currently been running the VGC 2019 metagame. Who knows if Malaviya will rely on this team once again to carry him to victory, but it has certainly worked out for him in the past and has been working nicely for other players so far in Moon Series. Another safe pick for this list, but definitely not a name we can ignore. Baek has been having a lot of success these past couple years with two regional wins and most recently finishing as the runner-up at the Latin America International Championships. 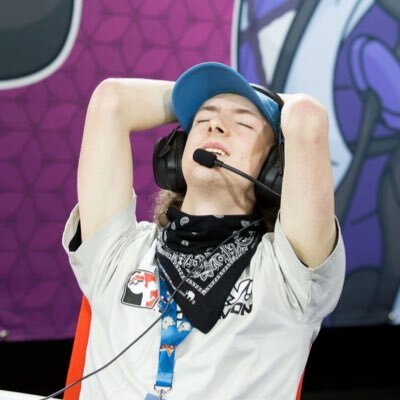 Baek clearly feels comfortable in the VGC 2019 format, and he’s one of the best users of the Kyogre/Xerneas archetype which remains one of the best teams out there. Another thing worth noting is that Baek currently leads the Championship Point rankings for the stipend to the European International Championships, which he should be a shoe-in for with a good finish in Dallas. If Baek is on his “A game” (which he usually is) he’ll be a force to be reckoned with this weekend. With the sheer amount of top players in Dallas this weekend, we should be in for an exciting tournament. The tournament will be streamed courtesy of CriticalHitGG, so if you’re watching from home, their Twitch channels will be where you want to go. Be sure to check back here in a couple days for a full recap from the 2019 Dallas Regional Championships!